Savor All-Inclusive luxury alongside Exclusive Complementary Perks when booking your travel to the stunning Namale Resort and Spa across WhataHotel!. 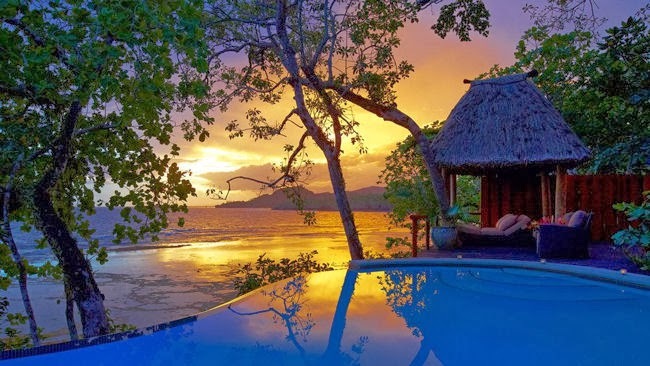 Winter may be hitting the US pretty hard, but this gorgeous locale in exotic Fiji is not touched by the dreaded Polar Vortex. Come to a place where the everyday includes dazzling landscape, mouthwatering meals and incredible accommodations; somewhere that promises warm tropical breezes with no snow in the forecast. 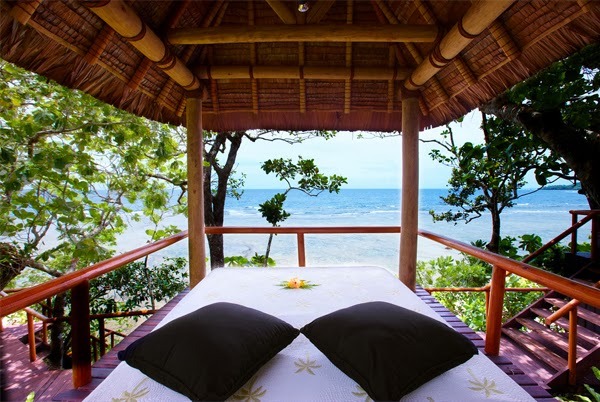 Namale Resort and Spa is an award-winning resort, and is thought to be not only one of the best resorts in Fiji, but also one of the best resorts in the South Pacific. 525 acres makes up the resort grounds, including a 10,000 sqft spa that is a true sanctuary. 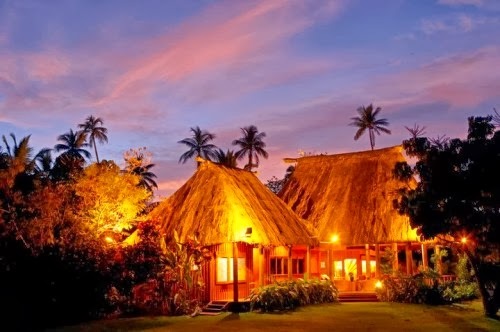 This unique resort is situated where the rainforest meets the sea, and ensures guests a fabulous vacation destination. 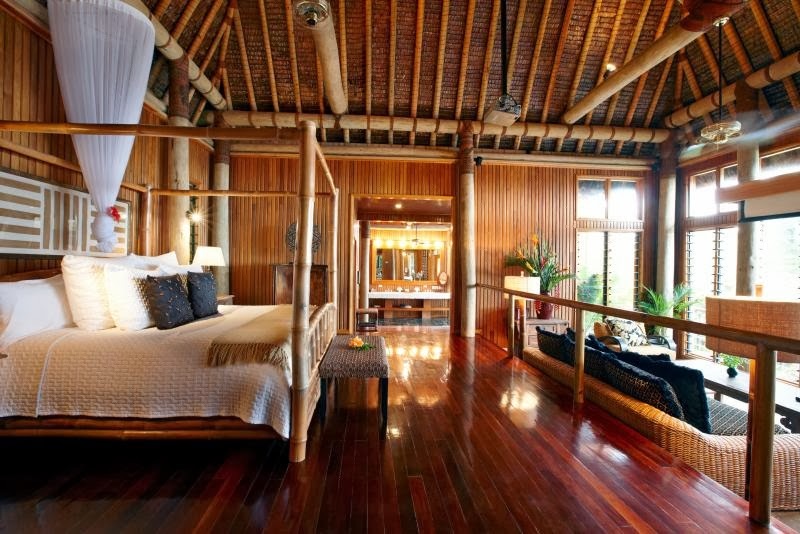 The bures (the Fijian word for home) and villas are all absolutely luxurious. Featuring well-appointed bathrooms, private decks and a fully stocked (and replenished daily) mini-bars, there is no doubt your accommodations will be satisfactory. The island activities range from relaxing by the freshwater pools, horseback riding and golf to waterfall hikes, snorkeling and scuba diving. Whatever your recreational pleasure, Namale Resort and Spa is sure to satisfy. With such a large portion of the resort dedicated to the tranquil Silver Sage Spa, guests will not want to miss booking an appointment. Treatments include services like the Hydrotherapy Room, an outdoor massage and aromatherapy hot tubs. Relaxation is in reach at the lovely Silver Sage Spa. When hunger strikes, a culinary journey is awaiting your enjoyment. The Namale touts that dining options are unlike anything you can find in Fiji. Fresh ingredients, a world-class chef and an inspired menu will make your mouth water. All-Inclusive food has never tasted so good. This resort is a hidden treasure, guaranteeing an escape from the ordinary. From the opulent room and suites, to the unprecedented service, to the pristine beaches that hug the resort property, everywhere you look is pure magic. When booking your stat at Namale Resort and Spa across WhataHotel!, guests can enjoy Exclusive Complimentary Perks for an exceptional deal. These perks consist of a Foot Bliss Treatment for two, a carved name board on the guest door, and options for an early check-in and late check-out. These perks alongside the All-Inclusive package that includes all meals, all beverages, daily laundry, nightly turndown service, Internet access in room as well as WiFi, access to the fitness center and some amazing activities will provide the trip of a lifetime. Travel to a place that Oprah herself fell in love with, and realize a true dream come true destination.